Born in Perth, Scotland, adventurous journalist Marjory McGinn moved to Australia as a child where she first discovered her love of travel and writing. On her return to Scotland in 2000, she worked as a freelance feature writer for various publications, including The Scotsman, The Herald, The Daily Mail, The Times. 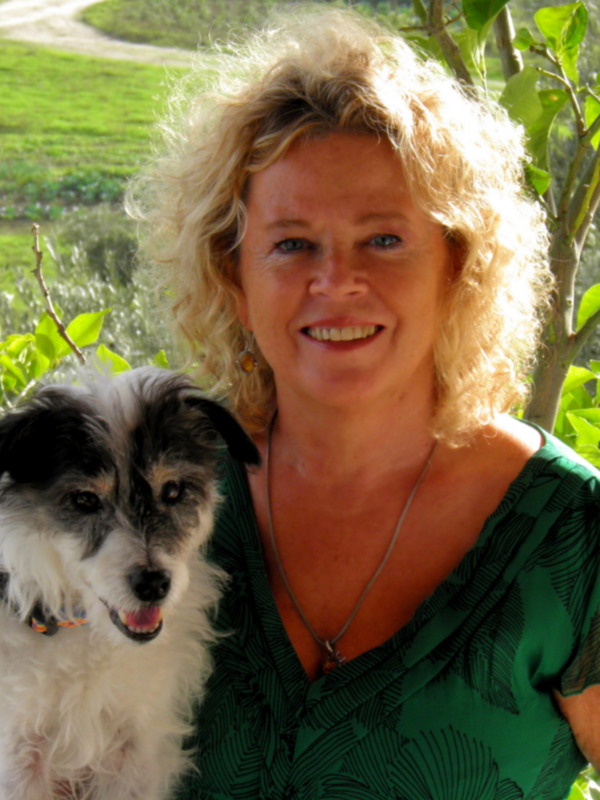 Marjory’s interest in Greece dates back to a youthful working holiday in Athens, but it wasn’t until 2010, when she set off for an adventure in the southern Peloponnese, with her partner and their famously mad Jack Russell dog, Wallace, that her story really began. 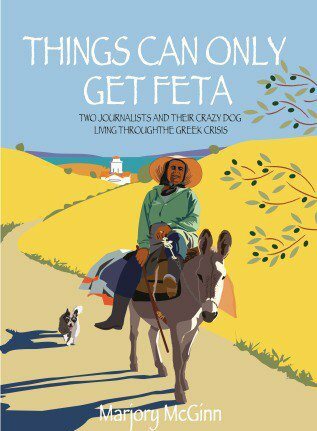 The adventure lasted three years, during the economic crisis and became the basis for Marjory’s hugely popular travel memoir Things Can Only Get Feta, published in 2013. The much anticipated sequel Homer’s Where The Heart Is was published in 2015. The books are both humorous and insightful, following Marjory, Jim and Wallace as they explore the wild, unspoilt Mani region of Greece and come across unforgettable local characters in a particularly challenging economic time. The story sparked a huge amount of interest in Greece and has rated consistently highly on Amazon in the Greek travel genre as well as appearing several times in the top 50 Amazon list of travel writing. Marjory also charts her Greek adventures on her blog Big Fat Greek Odyssey and is currently working on a sequel to the book, which will follow some of the same village characters but also some new ones in a slightly different location, as they come to terms with a deepening economic crisis. Wallace the star of the book! 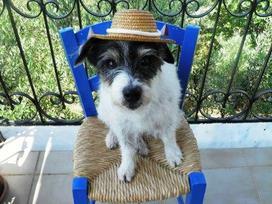 Homer’s Where the Heart Is continues the story of Marjory McGinn’s acclaimed travel memoir, Things Can Only Get Feta, where two journalists and their dog relocate to a hill village in the Mani, southern Greece, during the economic crisis. In this sequel, the couple move to a nearby location, sharing an olive grove with their Greek landlords and their crazy collection of animals, including a she-wolf with a shady past. This is an exciting new chapter of their Greek adventure, apart from nervy locals, gun-toting farmers, and Wallace their Jack Russell facing his biggest challenge yet. The couple also explore more of the region, including the island of Kythera and a visit to the house of the late Patrick Leigh Fermor, the famous British travel writer. With Greece edging closer to bankruptcy, the couple are engulfed in the chaos, along with everyone else, including some of the original characters from Feta. This is a memoir written with humour and honesty, but it also the story of the author’s passion for this country. Woven into the narrative is Marjory’s back story from another troubling time during the military dictatorship in 1970s Athens. It will reveal as much about Greece as it does about her own journey.